Home Gaming My thoughts on Heavy Rain. A few years ago now a friend of mine let me borrow Heavy Rain, he told me I would love it and that it was one of those games you had to play. He wasn't wrong, most of his game recommendation had always been on point so I never doubted him when he would tell me I should play a certain one. I was a bit dubious about playing heavy rain as it's an integration game and as I said before you don't feel that there is as much freedom when it comes to games like this but the story made it all the worthwhile. The name is a huge giveaway to what the game entails, it sounds depressing and in a way, it is but that's what makes it all the more enjoyable. 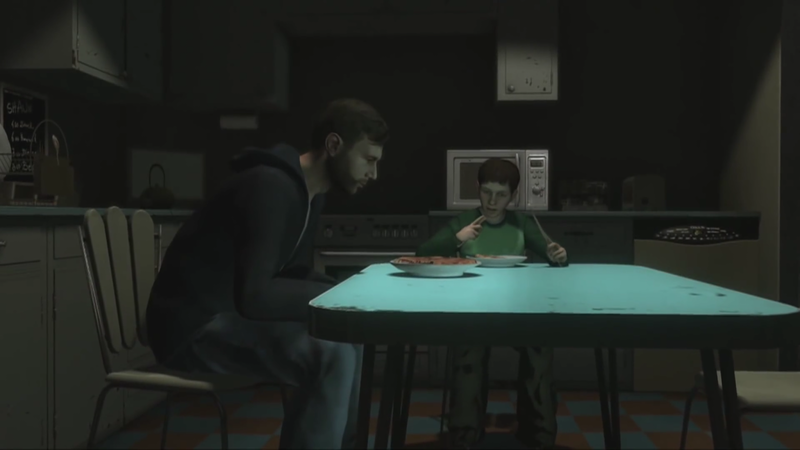 The main character in this game Ethan Mars is first seen celebrating his son Jasons birthday with his wife and Shaun, but the day after Jason's birthday he goes missing inside the Mall, Ethan is frantically searching for him calling out his name when he eventually finds him standing outside in the middle of the street in front of an oncoming car, Ethan runs towards Jason to try and push him out of the way so that he would take the impact of the car but it's too late and Jason is stuck and killed instantly. Ethan wasn't in the best shape after the crash and was put into a coma for 6 months because of it, once he woke he couldn't help but blame himself for the death of Jason, he and his wife end up divorcing and Ethan moves into a small (crappy looking) house. One day whilst he is out with his son Shaun at the park, Ethan suffers a blackout which he had been suffering ever since he woke from his coma, he has no control over them and they have started to become worse. When Ethan wakes up from his blackout at the park he discovers that Shaun has gone missing and the dread sets in all over again, just like it did with Jason. 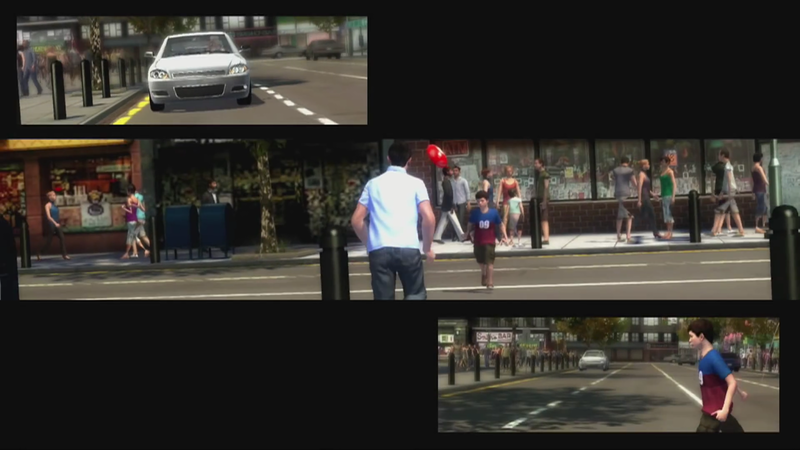 I thought when I first learnt about Ethan's flashbacks that perhaps they were trying to make it so we felt like he may have killed Shaun and not remembered because of his blackout, but that was a short-lived thought of mine. 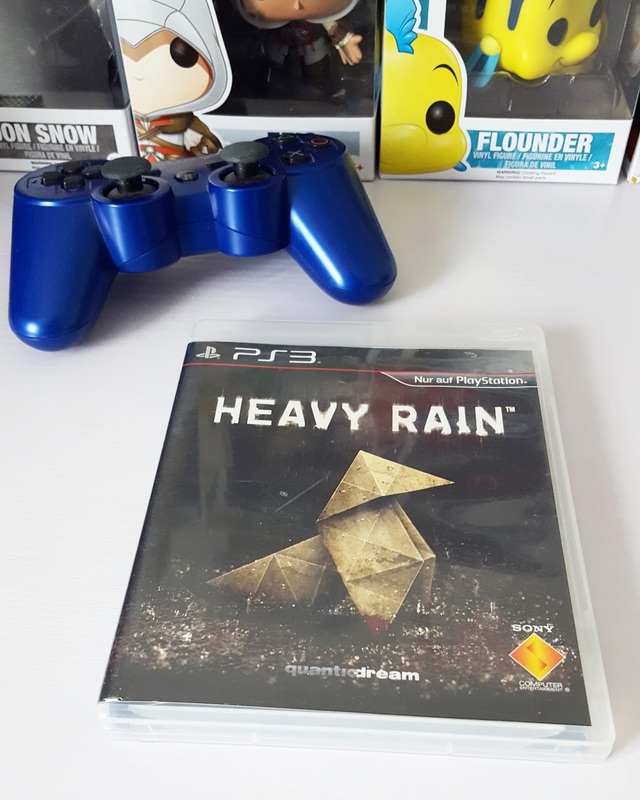 We come to find out that Shaun has been kidnapped by the Origami killer who has been abducting young boys during the autumnal season and drowning them in rainwater, which is a huge reason as to why this game is called Heavy Rain. The killer also ends up leaving an Origami figure near the bodies, because of how hard it has been to track down the killer the police get help from a member of the FBI called Norman Jayden, he discovers that Shaun will have about 3 days before he dies based on another victim's death, it will take up to 3 days because that's how long it will take for enough rainwater to drown Shaun where ever he is being held. I did feel my heart drop when I learnt this, how will they get to Shaun in time if they weren't able to save the other victims on time? 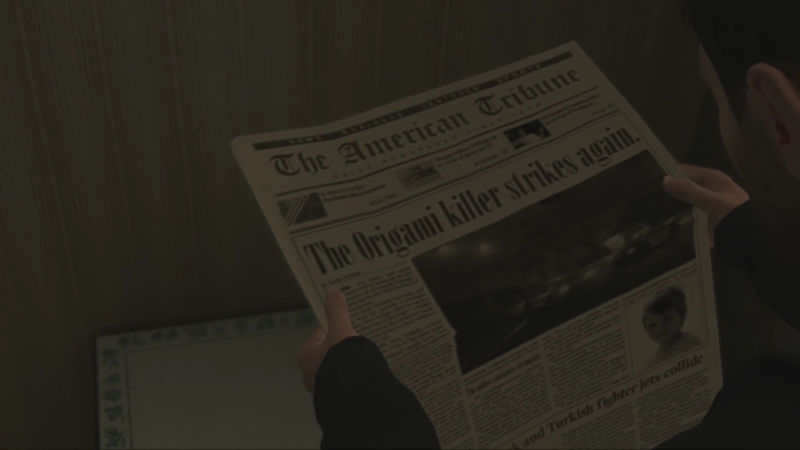 Not only am I sat there worrying about that but then poor Ethan, as if he hasn't been through enough already receives a letter from the killer, he gives him the details as to whereas a shoe box is a handgun, mobile and 5 origami figures in, the mobile is so that the killer can contact him and low and behold he receives a call from the killer, he explains what each of the origami figures are and that they each have instructions on which Ethan must follow, these instructions are on how to complete a trial to see how much he truly loves his son,I personally don't think he needs to prove it much you can tell how much he loves and adores Shaun and how much he still cares and loves for Jason. I feel awful for Ethan it's like a never-ending cycle of bad luck for him. The trails which Ethan ends up facing get harder and harder to do because of each choice you have to make, if you choose the wrong one then chances are Shaun will end up dead by the end of the game, which is what my first outcome was when I played Heavy Rain. Throughout the trials Ethan meets one of my favourite characters in the game, Madison, she is a journalist who sometimes checks into the same Motel that Ethan has been staying in, she suffers terribly with insomnia so staying in the motel is something she does to help with it. She and Ethan form a friendship if you could call it that? She comes to feel sorry for Ethan and decides to make her own investigation into the Origami killer so she can help find Shaun faster, her actions also have consequences and will determine what happens to her at the end of the game. There isn't really much to learn about her but there is always something I liked about her in general, especially because she is a woman and one of the main characters in the game. I liked how drawn out the game was and that it wasn't too fast paced, just enough time to leave you thinking of what might happen next, when it came to the choices you would have to make, it seemed so obvious (to me anyway) what choice I had to make, but I came to find that the obvious answers often lead me down a road I wasn't sure would lead me to Shaun or be of any help to me. As the game goes on the FBI agent Jayden and Lieutenant Carter Blake (his partner) start to investigate suspects but each suspect they investigate doesn't turn out anything good. Grace Mars who is Ethan's ex-wife pays a visit to the police station accusing Ethan of being involved in her son Shaun going missing and a warrant is put out for his arrest, Jaydon doesn't seem convinced that Ethan has taken Shaun and continues his investigation on other leads. At this point I kind of felt like the game was heading down a darker road and that perhaps we would never find out who took Shaun, I didn't want Ethan to go down for a crime he didn't do especially seeing how much he really does love Shaun. Seeing as he has had to go through trials to prove his love to Shaun you can easily see that he isn't the killer, I don't think it would have been a good twist if that was the ending. We later come to meet Scott Shelby who is a private investigator, he meets with the families of the Origami Killers victims and is nothing but polite and helpful towards them, he collects the letters and other items which the families received when their boys were took, I kind of felt that he was a little too invested in these families, why was he being so nice and helpful? I instantly thought that he could be the killer as he was collecting everything that was sent to the families of the killers, covering his tracks so he can make sure no one finds out it was him would be a good move wouldn't it? One of the victim's mothers, a prostitute called Lauren Winter, managed to get Scott to let him take her with him on a lead, they end up speaking to a man who claims to be the killer but that turns out to be far from the truth. In the game there are two different flashbacks, the first one was a good 30+ ago, two twin brothers are seen playing on a construction site. Obviously something bad was bound to happen and it left me in a panic waiting to see what was going to happen to the boys, whilst they were playing one of the boys falls into a broken water pipe and his leg becomes trapped, whilst this is all taking place the rainstorm is getting heavier and heavier and I'm basically sat there in a huge panic not wanting a game character to drown and then the scene is cut so I have the awful dread throughout the game over what becomes of this boy until the second flashback took place, you see the other twin running home to warn his dad about his brother but his dad is far too drunk to help, the second twin runs back to his brother and was helpless, he has no way of saving him. Turns out these twins are John Sheppard and Scott Shelby and that the death of his brother was motive him to try and make other fathers be willing to save their sons from drowning, how fucked up is that? Punishing others because of his own father. My thoughts on him being the killer were spot on and he wasn't investigating the deaths he was, in fact, collecting evidence to burn! Nearing the end of the game 3 different characters (depending on the choices you made throughout the game) have a chance to find where Shaun is and rescue him, there are 8 different endings to the game, I haven't been able to get all 8 of them but I've played it through 4 times now and twice got the same ending but the other two times I got different endings. Each of the endings depends a lot on the actions you choose. In two of the endings, Ethan's trail leads him to to the warehouse where Shaun is, he can either save him or watch him die, I've done both of those things and with both of those endings Shelby ends up dead, the worst ending I got was when Ethan was framed as the killer and him committing suicide. 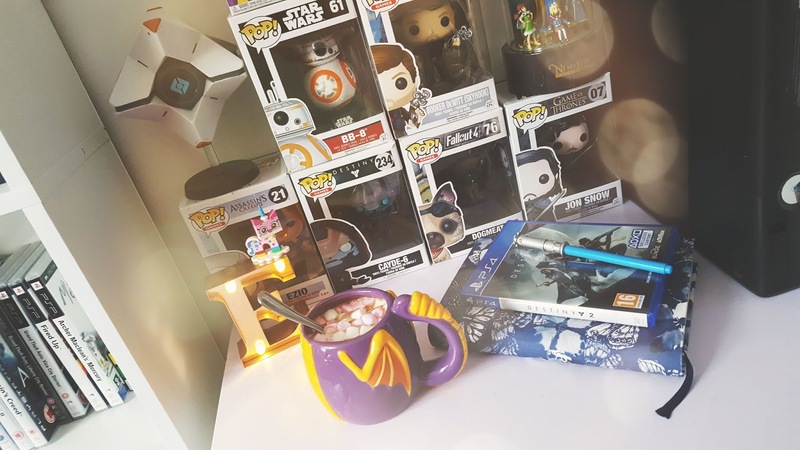 I don t want to say what the other endings are as some people have only just got the game on PS4 and are playing it through, I've already said too much in this post as it is! I have missed out a lot of other stuff that takes place in Heavy Rain, it would be far too long if I spoke about every single detail so I apologise for that. To me I would say that this game is like an interactive movie and reminded me of the choose your own adventure books I read in primary school, I use to love reading them! This is a must play game, I have recommended it to a lot of people since playing it and they've all enjoyed it, it was originally released on PS3 but as I said before it's now available on PS4 to play. I actually have yet to play Heavy Rain... I played Fahrenheit though. And I've seen most of Heavy Rain's plot on YouTube videos. I love games with multiple endings (Suikoden was a dream for that). What's your opinion on Detroit: Become Human? Ohh I've not played Fahrenheit yet! As for Detroit become human I really want to play it, it looks my kind of game and the graphics are so so good! I played heavy rain ages ago on the ps3 so my memory is fuzzy but I remember the cop died in my playthrough and I think I managed to save Shaun, I can't actually remember. Pretty sure Shelby died in my playthrough I think either Madison or Ethan pushes him. I love these types of games/story lines and I want more of them. I love how you can play through this and have every character die at some point as well. I hated playing as Madison and Jayden intrigued me. Ugh. There's around 17 different endings or more. Which is pretty cool. I love this game. I might play through again.